The survey is conducted every 10 years and is intended to gather information from the community regarding what next projects will take priority over the next decade. This years report has the priority placed on exoplanets, formation of the first structures of the Universe and also the physics behind it. The research also produced a list of missions that are aimed at conducting research to solve these three major quests. This years report was special with the Department of Energy taking part in it for the first time. The department of energy is keen to look for new sources of energy and space is definetely an option. The input for the research comes from 17 town hall meetings held around the nation with over 300 papers that were submitted for consideration. One interesting priority is the discovery of new earth like planets that may support life. Keplar space probe is already out there working on finding out new planets and now this years’ plan will only help the current projects. This research has also boosted support for the Wide Field Infrared Survey Explorer (W-First) which will contribute both to the search for exoplanets and will help us understand dark energy by imaging extremely distant objects. 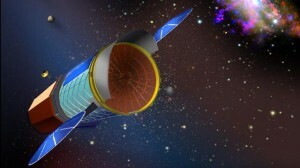 Other projects that are of interest involve the International X-ray Observatory (IXO) which will be a general purpose scope able to generate X-ray spectra of everything from the accretion disk of a black hole to the hot gasses between galaxies. Although these research surveys are highly influential, Congress and NASA administrators have the final say on many if not most of the projects. Astronomers fine New Giant Alien Worlds!